Filmed on location in outer space. Let’s be honest. That’s every filmmaker’s dream. Even Colin Trevorrow wanted to do it for Star Wars Episode IX before he left the project and was replaced by J.J. Abrams. But we all know such a feat is albeit impossible. Not only is it extremely expensive to get your gear up there. But space is vast, and dark. So how do you shoot the cosmos and get a workable image? 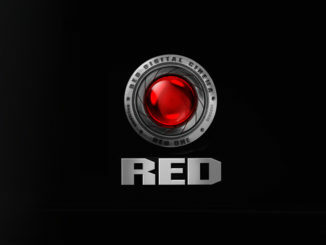 Well, RED has come to the rescue with a custom built low light image sensor called Gemini. 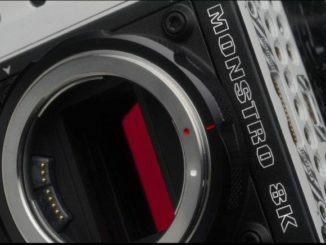 According to self proclaimed Fire Chief Jarred Land, RED designed their new Gemini image sensor for a “very special customer.” Taking to Facebook to describe it, Land said that the new Gemini sensor is “a vampire that loves the dark.” Fitting somewhere between a RED Epic-W Helium Super35mm sensor and the RED Weapon Monster Vista Vision image sensor, the low light sensor measures 30.72mm x 18mm and has a crop factor of 1.22x. This puts it the same basic field of view as the Helium, maybe a bit wider. With extra large image pixels and photo sites, the Gemini sensor grabs an additional 2 stops of dynamic range, making it the most light sensitive sensor RED has ever made. Land says that the Gemini sensor sees so well in the dark, that you’d need to stack several neutral density filters on top of it in order to grab any detail that wasn’t over exposed in normal light. That’s incredibly sensitive. RED’s latest creation was named after NASA’s groundbreaking two-man Project Gemini (pronounced “Geminee” for your space purists) of the mid 60s, which was designed to teach astronauts all the skills they would need to fly to the moon. 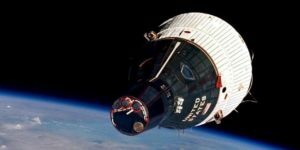 Fifty years later, Gemini has a new mission, but who is this “special customer?” Well, it could be NASA. RED’s Dragon has been already sent on board the International Space Station and the agency may want to turn their cameras towards to solar system and see what they can see from low earth orbit. 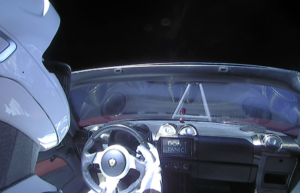 Is this Image from SpaceX Falcon Heavy Launch from the Gemini sensor? It wouldn’t be the first time Bowie’s classic was filmed in outer space, as ISS Astronaut Chris Hadfield created a music video from the ISS, complete with floating guitar and rocking riff. Check it out above. 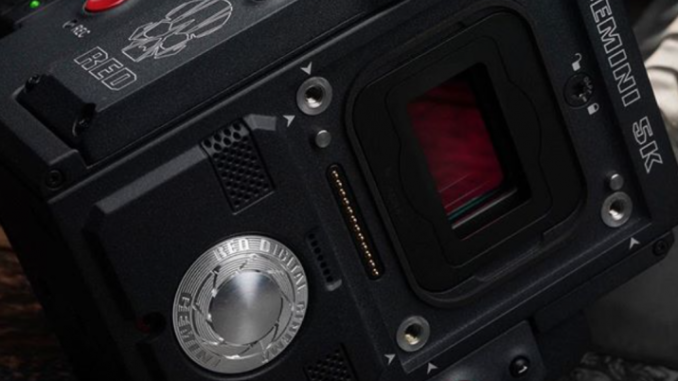 RED has made only five and placed them into custom, jet black DMSC2 bodies, which can shoot 5K at up to 96fps. That way they’ll be able to capture cool, slow motion of the Tesla floating away. 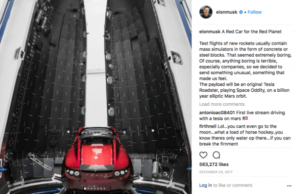 Musk is bound to want RED’s Gemini to capture that iconic moment when the housings open up and his cherry Tesla is sent on the way to Mars. It’ll be a cinematic image of Kubrickian proportions, and you’ll be able to hear Bowie giving a poetic send off as it does. But before you plan to buy or rent your own Gemini for that “shot on location in outer space vibe,” understand that RED this is the most limited edition camera RED has ever made, and it won’t be available for sale anywhere. The customer only allowed RED to create five additional models. Sorry Michael Bay, not this time. So if you’re an astrophotographer or someone who shoots a lot in the dark, you better hurry and be prepared to plunk down $20,000 for one. They’re probably already sold out. 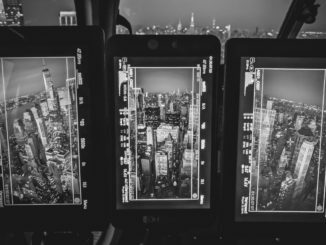 Otherwise, might we recommend the upcoming Sony a7SIII?